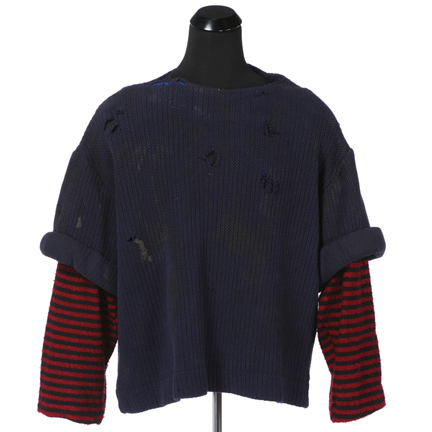 This sweater was worn by the character Bluto portrayed by acter Paul L. Smith in the 1980 Disney/Paramount production of “Popeye”. 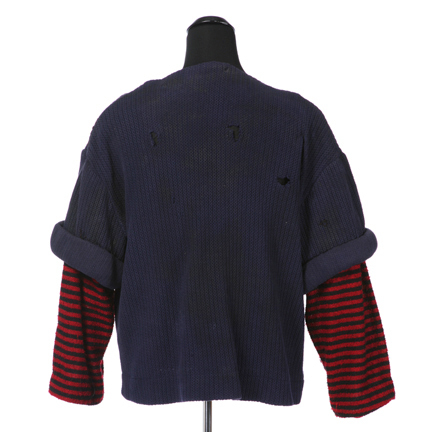 The heavy cable knit blue sweater with red and black striped sleeves was custom made for the film. 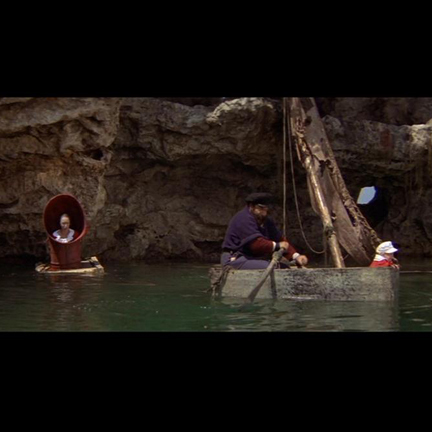 There were multiples made for Mr. Smith due to the amount of stunt work that was filmed in the water with Robin Williams. 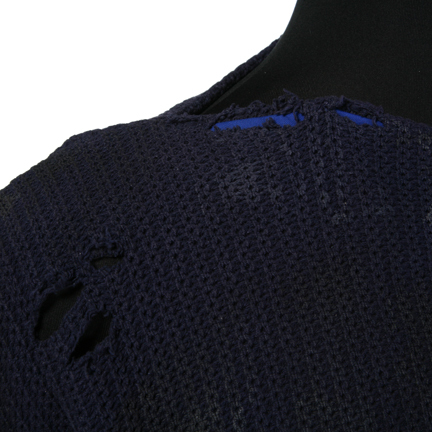 This sweater has numerous holes and tears from wear during filming. 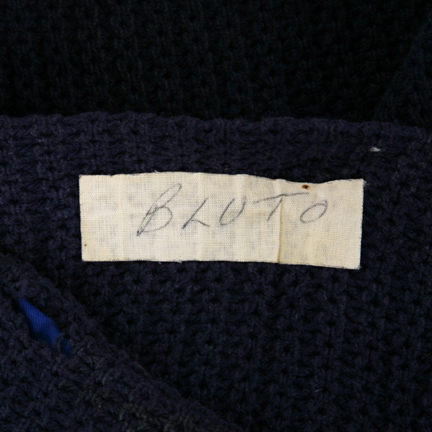 The costumers tag is taped inside the garment with “BLUTO” written in blue ink. 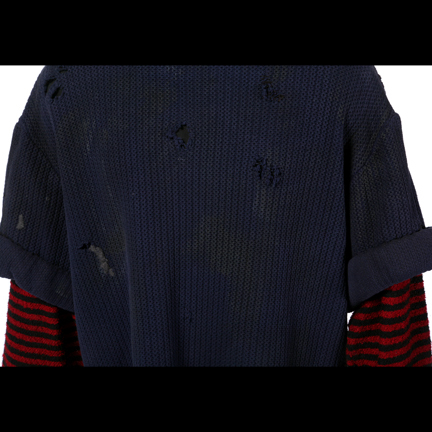 Also attached is the costumers tag which lists the entire costume and “TOUR III”. 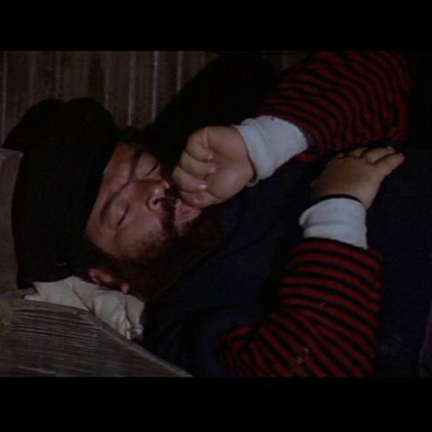 This garment can be viewed in the scene where Popeye is trying to save Olive Oyl and Sweat Pea from Bluto on an island after Pappy sank Bluto’s boat. 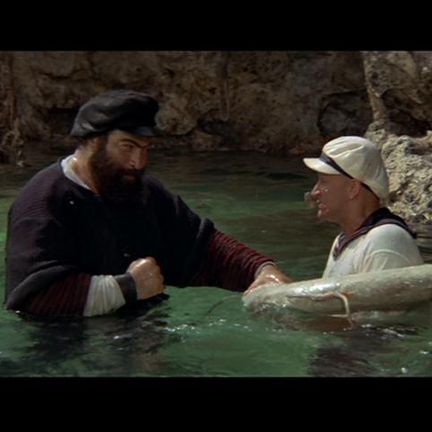 Popeye and Bluto get into a sword fight, Bluto being much larger and stronger, knocks Popeye into the water where they continue to fight and struggle. 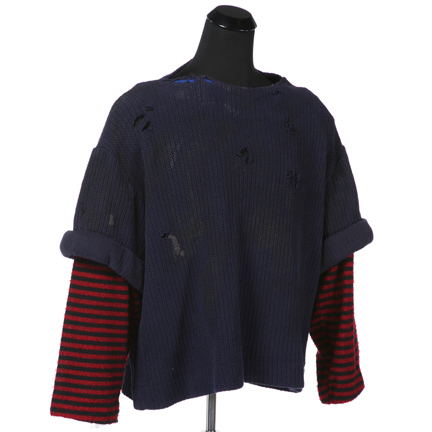 The garment is in good screen used condition with some evidence of wear from its use during production. This item was acquired directly from Paramount Studios and is accompanied by a letter of authenticity.